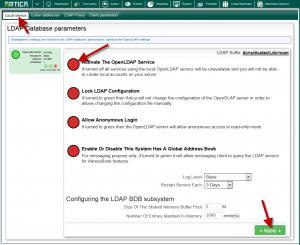 Home » System » How to disable the local LDAP server ? 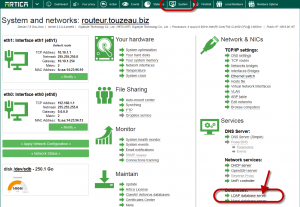 How to disable the local LDAP server ? 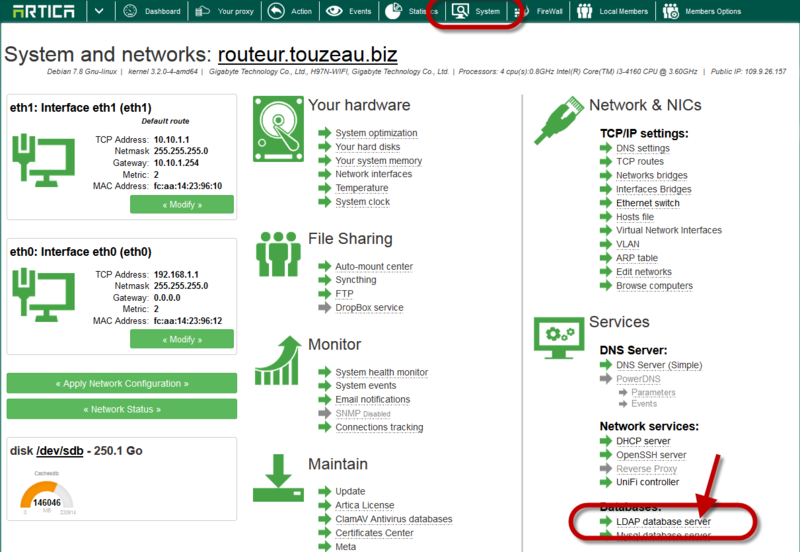 If you did not use local members, you can disable the local LDAP service in order to safe performance. (by default the Intel Celeron mode disable automatically this feature). On the TOP menu, click on System. 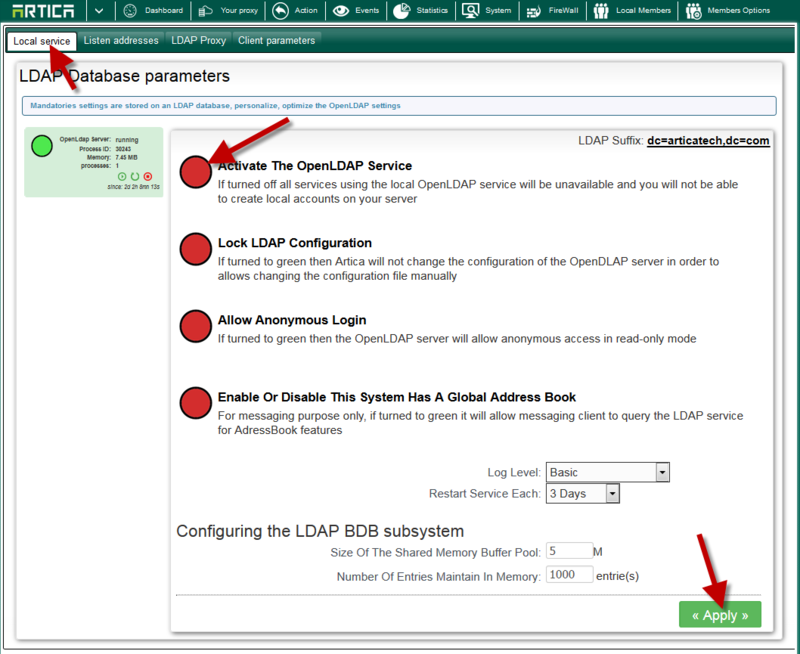 On the Databases section, choose LDAP Database server option.